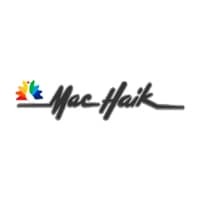 Available now in Houston, TX at Mac Haik Dodge Chrysler Jeep Ram! 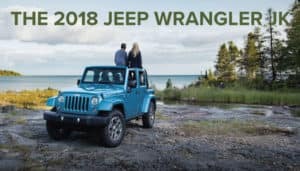 The 2018 Jeep Wrangler JK is back and rugged style meets capability now more than ever. Dominate the trails and look good doing it while taking every opportunity for adventure. The Wrangler is built for action-filled adventures with you in them. Choose from four different Jeep tops. No Top, Soft Top, Hardtop, Body- Color Hardtop. 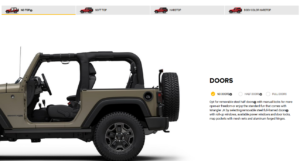 Put No Doors, Half Doors, or Full Doors on your new Jeep vehicle. The tires of the Wrangler JK are designed to take on bolder adventures and explore unknown regions. The wheel and tire combinations were designed to elevate your off-roading experience with legendary capability and striking style. Comfort takes precedence in the 2018 Jeep Wrangler JK, with seats upholstered in premium cloth or available leather trim in your choice of natural coloring depending on the mode. Fear no mud or spill, every Wrangler JK comes standard with a durable and washable interior with drain plugs. Go ahead and indulge in some good, not-so-clean fun. You are an adventurer and you know that adventures require accessories. A lot of accessories. Whether it’s camping gear or sporting equipment, the Wrangler JK lets you bring along the things you need to make your trip truly memorable. 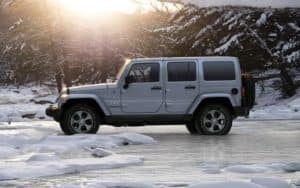 Go off the beaten path with your choice of available 4×4 systems and impressive and impressive traction and handling in the 2018 Jeep Wrangler JK, Get the power to go where you want. Confidence and capability go hand in hand. 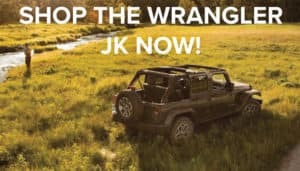 The 2018 Wrangler JK has the power and torque you need to take on almost any kind of terrain. Take on big rocks, deep snow or sticky mud and Wrangler JK will come out on top. Protection when you need it. With features ranging from systems that monitor your driving and assist you when the going gets rough, to engineered components made of high-strength steel that stand up to impacts and vehicle stresses, Jeep Wrangler JK helps keep you safe and secure on all of your life’s adventures.